As Georgia prepares for the second round of the presidential elections, media polarization in the country has become more and more of an issue, posing an immediate threat to democracy. Acrimonious and politicizing, it is splitting Georgian society into two camps — supporters versus opponents of the Government. No candidate received enough votes in the 28 October presidential elections to win, which led to an increase in media polarization amongst key national broadcasters as TV channels scrambled to support their favorite candidates. For example, Imedi TV has openly sided with the Government (Georgian Dream [GD] coalition) and has pledged to oppose the United National Movement (UNM) — the former ruling party. UNM candidate Grigol Vashadze is running against GD favored candidate Salome Zurabishvili in the second round on 28 November. In Georgia, the media has always served as an influential policy tool for the party in power. During Mikheil Saakashvili’s leadership, Rustavi-2 TV channel received support while Imedi TV was criticized, and now the opposite is true. Criticism against media outlets has become stronger since 2012, when the current government came to power, and the debate over the government’s ability to exert influence and power on the media has not lost traction. Both Imedi TV and Rustavi-2 maintain questionable political ties, which create strong biases when it comes to political reporting in Georgia. Those tensions were the most obvious in November 2007, when Saakashvili’s United National Movement was in power and temporarily shut down the then pro-opposition Imedi TV. Today, Rustavi-2 is facing pressure from the current government in connection to an ownership dispute. The OSCE Office for Democratic Institutions and Human Rights’ Election Observation Mission (ODHIR EOM) to Georgia is also concerned with the growing issue of media polarization in the country. 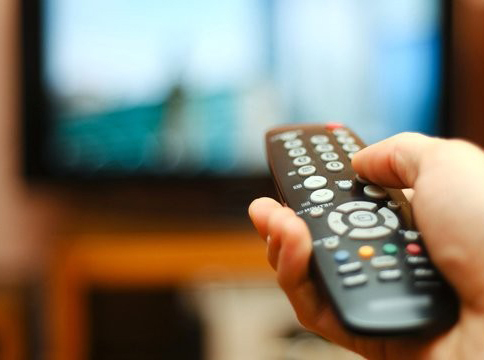 In a statement, it said that, “the diverse media environment is sharply polarized along political lines and business interests,” and that “television remains the primary source of political information, with online and social media being a distant second.” Although 21 national and 77 regional television stations operate in the country, Rustavi-2 and Imedi TV dominate the commercial media market and their on-air competition has increased in the wake of the presidential run-off. The media also plays a crucial role “in generating a democratic culture that extends beyond the political system, becoming engrained in public consciousness over time.” Media, often referred to as the fourth branch of government due to its oversight power function, is facing credibility issues in Georgia due to polarization and politicization. As a result of political pressure, the role of media is stifled in Georgia and serves the interests of few and strengths the country’s divisions and instability. In this environment, the media will find it difficult to contribute to the development of democracy as demonstrated by the presidential elections where both GD and UNM employed media outlets as a means to drum up voter support. In new democracies, it is often difficult for governments to relinquish their stronghold on the media industry. However, continued intervention only aggravates the politicization of mass media, contributing to polarization in the country. While a free, neutral and active media sector is key for the success of democratic development in Georgia, a society that is divided and weakened through media polarization jeopardizes Georgia’s Westernization agenda and impedes democratic progress. Irakli Jgharkava is an Affiliated Policy Analyst at the Georgian Institute of Politics. The blog post is prepared with the financial support of the National Endowment for Democracy (NED). The views and opinions expressed in this article are the author’s alone and do not necessarily reflect the views of the Georgian Institute of Politics or the National Endowment for Democracy (NED).